Knowlton Nash was 86. 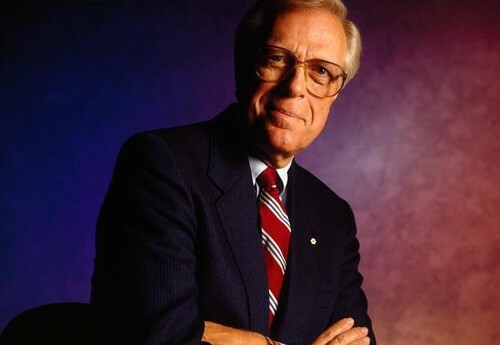 He was a journalist, author, and former long-serving senior anchor of CBC Television's flagship news program, The National. memories of Canada when Canada was Canada. RIP "Uncle" Knowltie. Distinctive voice, and a Canadian icon. He made CBC News worth listening to, and that is saying something. And excellent newsman and news reader. There are just way too many endings these days. I adored Knowlton Nash. The fact that the word 'know' was a part of his name is just perfect. Erudite, classy and certainly able to frame his opinions in a piece...well, there aren't a lot of that calibre. What a storied, brilliant life.